US President Donald Trump insisted Tuesday (24 July) that imposing tariffs forces other countries to negotiate with Washington, a day before the European Union chief visits trying to prevent an all-out trade war. “What the European Union is doing to us is incredible, how bad. They made $151 billion last year, our trade deficit with the European Union. They sound nice, but they’re rough,” he told a convention of Veterans of Foreign Wars. In a tweet on Tuesday night, Trump said both the United States and the European Union should drop all tariffs, barriers and subsidies. “That would finally be called Free Market and Fair Trade!” Trump said. “Hope they do it, we are ready – but they won’t!” he said. European Commission President Jean-Claude Juncker is scheduled to meet Trump Wednesday in Washington, a last-ditch effort to convince him to hold off imposing punitive tariffs on European auto exports to the US. The Europeans say such levies would trigger a global economic earthquake and earn a withering riposte from Brussels. 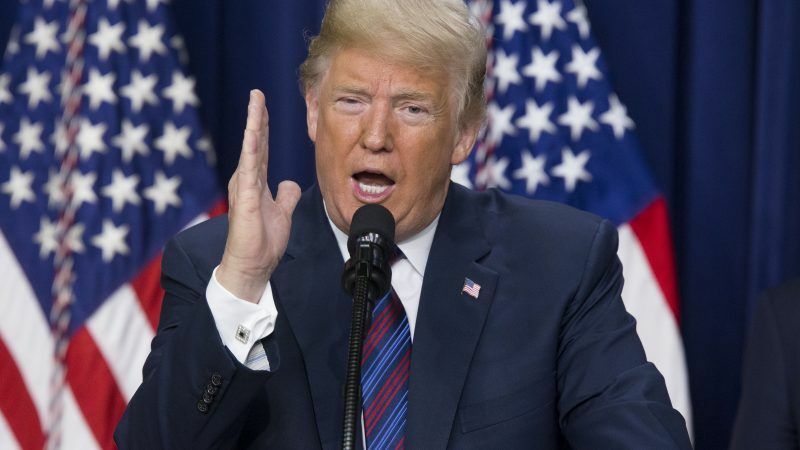 “Either a country which has treated the United States unfairly on Trade negotiates a fair deal, or it gets hit with tariffs,” he tweeted, likening the US as a “‘piggy bank’ that’s being robbed” through trade imbalances. The threatened car tariffs, which would deal a blow to Germany’s mighty automobile industry, come on top of high levies already slapped by Trump on aluminium and steel imports. The European Commission has reacted with retaliatory tariffs, but new US levies on cars would prompt Europe to take further action. Other US allies including Canada and Mexico have also hit back against the steel and aluminium tariffs. “We have to think of ourselves,” Trump said in Kansas City. “We gotta fight it,” he said, referring to “disaster” trade deals. But the foreign minister of Germany, Europe’s biggest economy, said Tuesday that the continent “will not be threatened by President Trump. If we cede once, we will often have to deal with such behavior in the future,” Heiko Maas wrote on Twitter. “No one has an interest in having punitive tariffs, because everyone loses in the end,” he said. White House economic adviser Larry Kudlow has said he expected Juncker to come with a “significant” trade offer. Why should the EU raise taxes on imports? The EU needs to finally ensure that the profits US companies generate in Europe are effectively taxed and raise those taxes on profits, rights, fees etc. Tax Amazon, Google, Facebook, Starbucks, Morgan Stanley, MasterCard, Visa, Coca Cola, Disney et al….